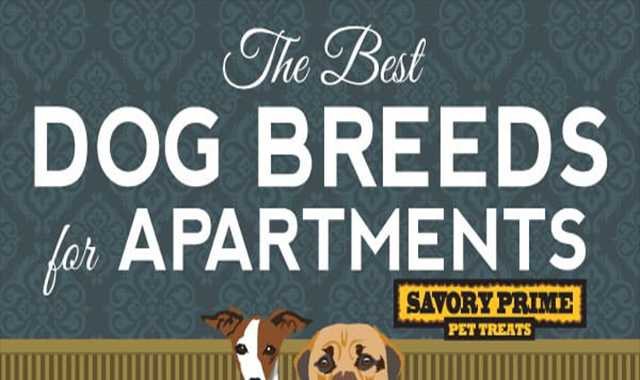 The Best Dog Breeds for Apartment Living | Savory Prime #infographic ~ Visualistan '+g+"
Apartment living doesn’t mean you have to become a cat person! In fact, many dogs – of all breeds and sizes – fit right at home in multi-family dwellings! Just because you live in an apartment doesn’t mean you need to rule out having a dog, even a large one! It does mean you need to do a little research to make sure your pet will be as happy with their living arrangements as you are.